Although not a priest himself, the locals considered Eraldo to be a “holy man,” and he carried the authority of a priest. Human activities such as logging, mining, fishing, and agriculture are important to the Brazilian economy, but are also a serious threat to Brazil’s diverse environment. Football (soccer) is the most popular sport in Brazil with the national team consistently among the best in the world, winning the World Cup a record five times. Eraldo knew the Upper Amazon well, having spent several years as a trusted riverboat pilot for the Roman Catholic Church. He navigated the famous river with ease, sometimes taking a priest to visit the parishioners, but often going alone to carry on the various religious tasks. Although not a priest himself, the locals considered Eraldo to be a “holy man,” and he carried the authority of a priest. One day, some villagers told Eraldo about another boat that was trolling the Amazon, looking for unsuspecting people to join some strange religion. The name of the boat was the Luzeiro. The people on this boat went from village to village, offering medical help to the villagers and then inviting them to attend religious meetings. Before long, Eraldo caught sight of the Luzeiro on the Amazon. Thinking to frighten those on board the unwelcome craft, Eraldo quickly positioned his boat immediately in front of the Luzeiro, causing them to narrowly avoid a collision. Turning to look back, Eraldo was surprised and irritated to see the Luzeiro pilot smiling and waving at him. After some time, Eraldo received news that his mother had become a Seventh-day Adventist! He refused to speak to her for three months. Finally, he decided that he should confront her. On another occasion, Eraldo visited a family who had become Adventist. Hoping to deceive them, he told the family that he had brought them some beef (although it was actually pork). Wanting to be polite, they ate it. Only afterwards did they realize that it was pork. Eraldo followed through on his threat to tell the pastor, but he was very disappointed when nothing happened to those who had mistakenly eaten the pork. Shocked and disgusted, Eraldo asked himself, If what my mother believes is true, then why am I in the Catholic Church? The following day, the Adventist pastor visited Eraldo, and one month later Eraldo accepted the message of the Seventh-day Adventist Church. On the day of his baptism, the priest he used to work for was waiting for him outside of the Adventist church. “This is your place now,” the priest told Eraldo. “It’s not just my place, but your place too,” Eraldo responded. For a while, Eraldo worked cleaning the Adventist church, but before long he was back on the Amazon River; this time as the pilot of the Luzeiro! When the villagers saw Eraldo arriving in the Luzeiro, they were shocked. “What happened?” they asked. “Jesus is in my life,” he responded. Eraldo stayed in one village for two months. In the end, all of the village leaders accepted the Adventist message. 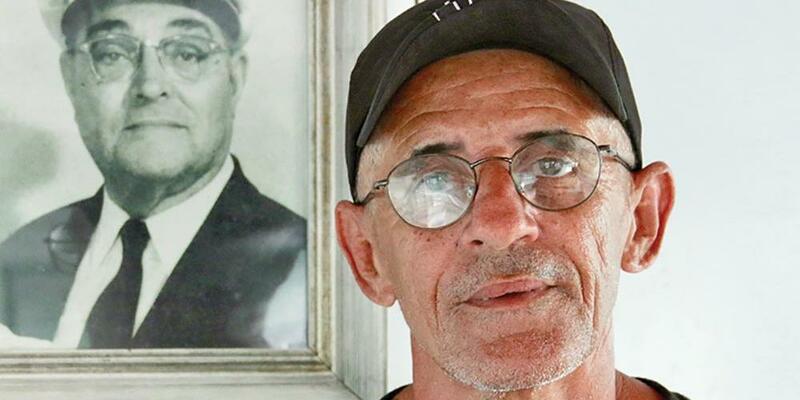 Eraldo continues to pilot the Luzeiro, as well as other boats owned by the Adventist Development and Relief Agency (ADRA Brazil), and he is integral to the church’s medical and spiritual outreach along the Amazon. One of the Thirteenth Sabbath Offering projects is to build a “floating church” that will be used to reach people living in Amazon villages.